HMT Machine Tools Limited, Bangalore invited applications for the post of Executive-Technical ‘A or B’, Senior Associate/Junior Associates ‘A or B’ and Senior Associate ‘A ‘. The eligible candidates can attend Walk-in-interview on 21st December 2015. 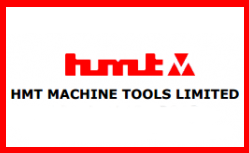 The notification for HMT Machine Tools Ltd Recruitment 2015 for Executives has been announced.